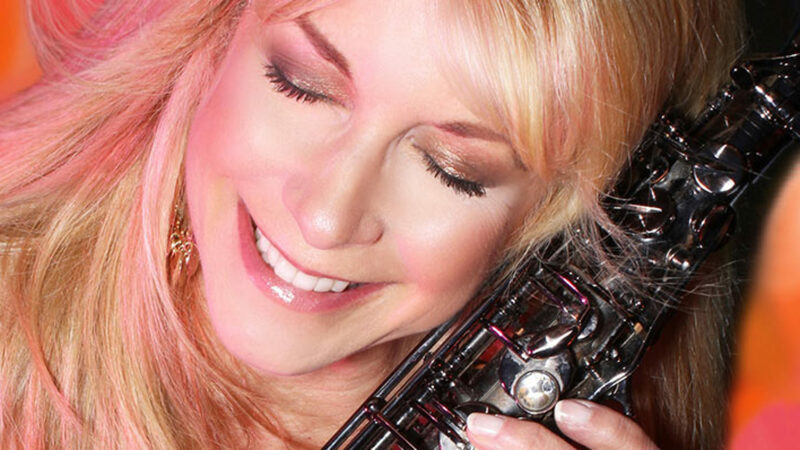 Saxophonist Paula Atherton is one of those go-getters who have made it to the top in the music business. She started her solo projects with Let Me Inside Your Love (2001), followed by Groove with Me (2009), Enjoy The Ride (2012) and Ear Candy (2015). Her newest album is Shake It (2018). Mentioned in the liner notes are Dave Delhome, Darin Brown, Jorgen Kjaer, Bill Heller (keyboards), Schuyler Deale, Ron Monroe, Roy DeJesus (bass), Emedin Rivera (percussion), Lou Gimenez, Nick Colionne (guitar), Lionell Cordew, Tony Lewis (drums), Cindy Bradley (trumpet, trombone), and Melissa Raye (background vocals). Paula performs on her album flute, alto sax, Bari sax and vocals. Most of the songs are written by Paula Atherton, in parts with other musicians. Nick Colionne has written one song and the album has one cover. The album lifts off with the famous Low Rider by American funk band War and producer Jerry Goldstein, which appeared on their album Why Can’t We Be Friends?, released in 1975. The original has two heavyweights, the ultra-masculine voice and the dominant harmonica. Paula Atherton’s new interpretation sounds like a modern and fresh extension to the old hit with alternative and hip instrumentation. Long Tall Cool One captures the positive mood of the first piece and translates it into another theme. The intro of Into The Night has a flabbergasting similarity to Papa Was A Rolling Stone by the Temptations. A good approach for Paula’s own ideas. On Good Love Gone Bad Paula chooses another ingenious concept to start the song. She presents her saxophone performance in an unadulterated way without any other musical accompaniment. The Rippington’s very own keyboardist Bill Heller serves with the extremely smoothly You Got It. The funky All About The One portraits the popular double feature of Cindy Bradley on trumpet and Paula on sax. Both have often performed on each others albums and events. That Paula is not only an excellent saxophone player, but can also keep up vocally, she demonstrates with Say Goodbye. Shake It comes up with a further outstanding harmonization of both horn players. My Song For You is written by Nick Colionne, who also performs the guitar. A harmonic and melodic blending of sax and guitar is the final structure. New Color is the second Bill Heller/Atherton co-composition opting on a feisty rhythm. Last song is an instrumental version of Say Goodbye. If it was ever a good time to buy an album, than it’s now with the finest music on the market. 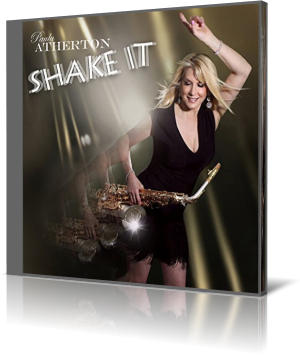 Paula Atherton’s Shake It is the the ultimate starter to complete your smooth jazz collection. Here she is once again dancing the funk right off everyone’s dancing shoes: saxtress Paula Atherton. The lady has a new label (Maurice White’s Kalimba Music), some slammin’ contributions from one of the coolest guitarist around, Nick Colionne, lovely trumpeter Cindy Bradley, and the wonderfully talented, equally lovely keyboardist Gail Jhonson. Couple that with that same seductive, crystal clear vocal style that has brought her this far and an album of all new, all original material – Ear Candy — and I think we can look for a chart topper here.